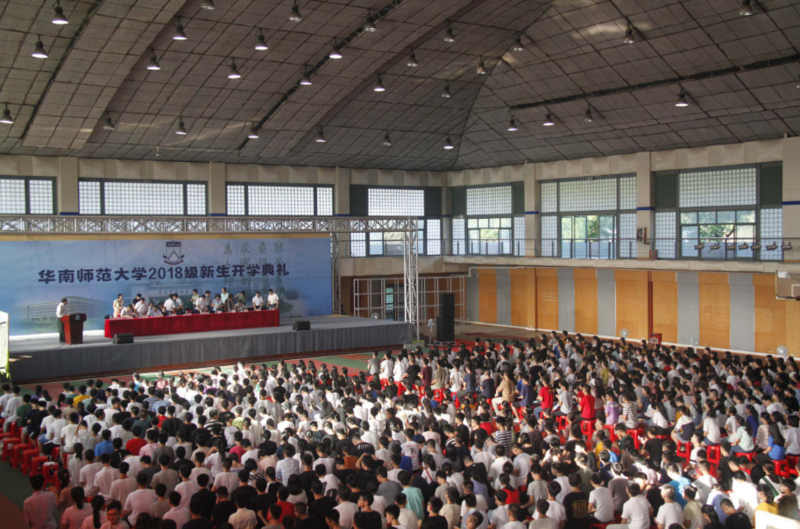 On September 4, the 2018 Welcoming Ceremony for new freshmen at South China Normal University was held on the Shipai campus, University Town campus, and Nanhai campus. 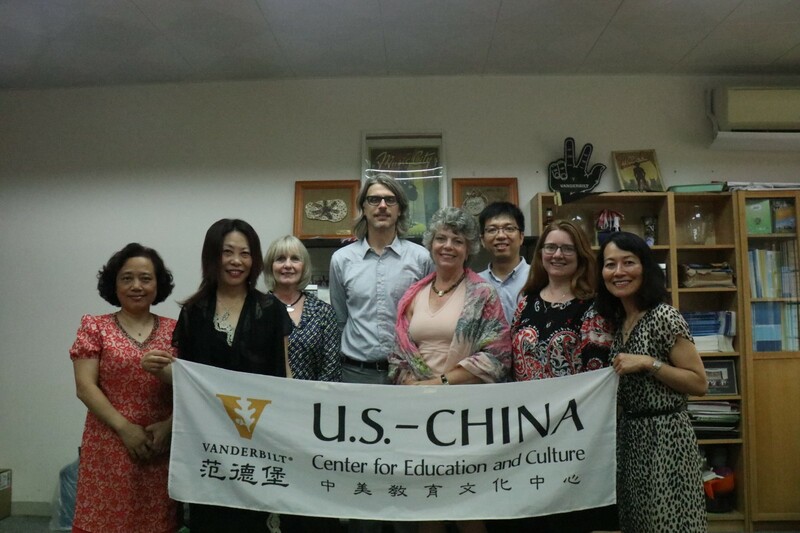 The ceremony was attended by new students, university administrators, teacher and student representatives and other participants from related departments. 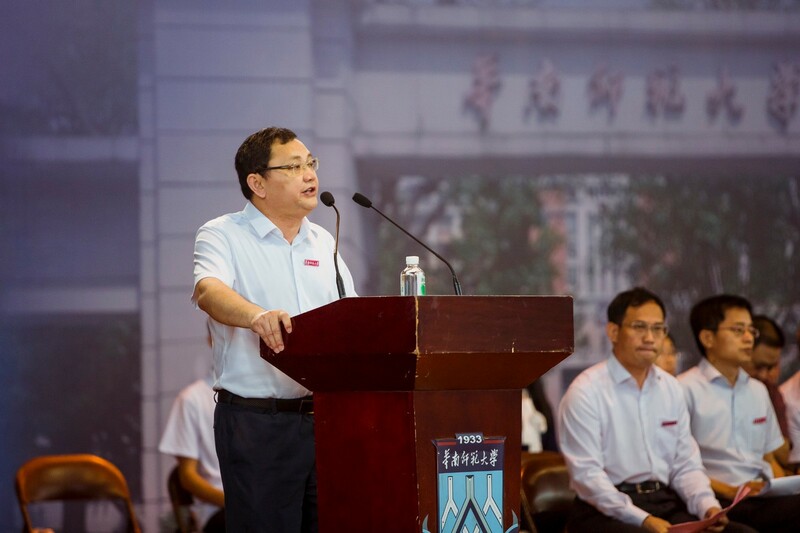 On behalf of teachers and students of the whole university, president Wang Enke firstly expressed a warm welcome to all new students. 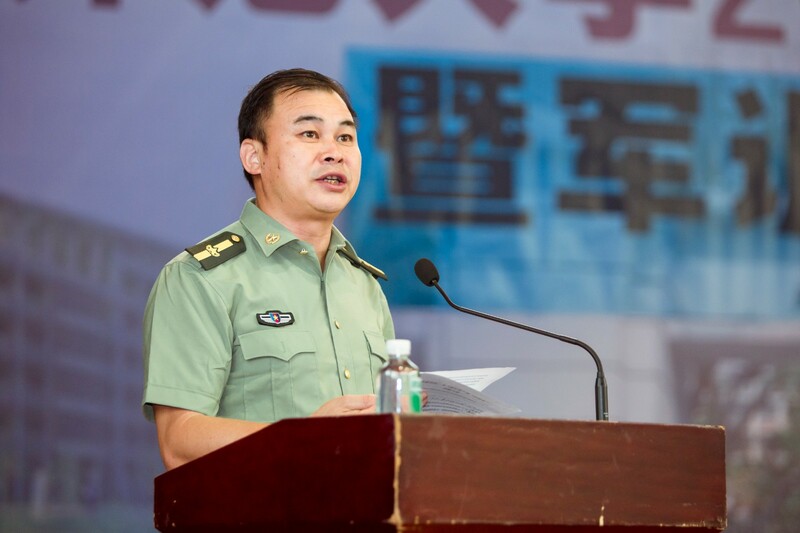 In his speech he commemorated the story of Liu Xiang, who broke a world record during the 2018 Asian Games as an example to inspire all students. 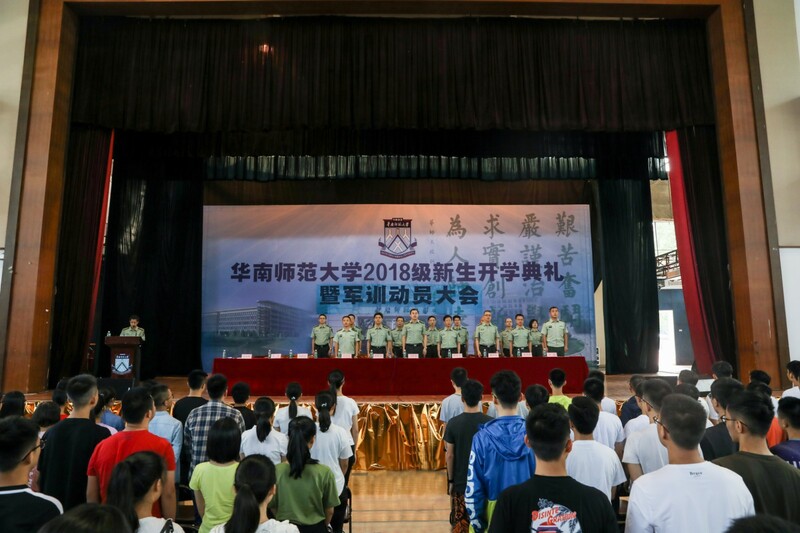 “It’s easy to play, but not easy to study hard,” he encouraged the new students to set academic goals, explore academic frontiers, realize innovation, abide by codes of conduct, and strive to become outstanding SCNU students. 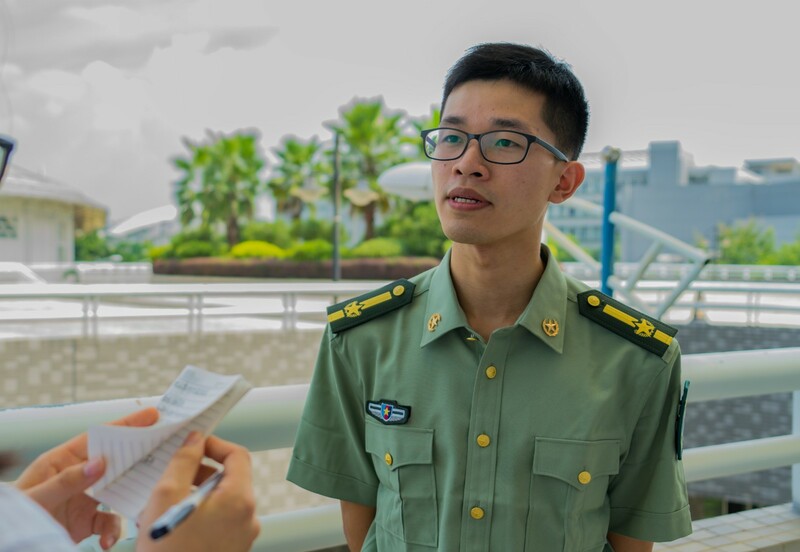 Moreover, he encouraged the freshmen to aim high and show love for their family and the nation; stay practical and down-to-earth and be dedicated to science; uphold noble morality and have a passion for humanity. 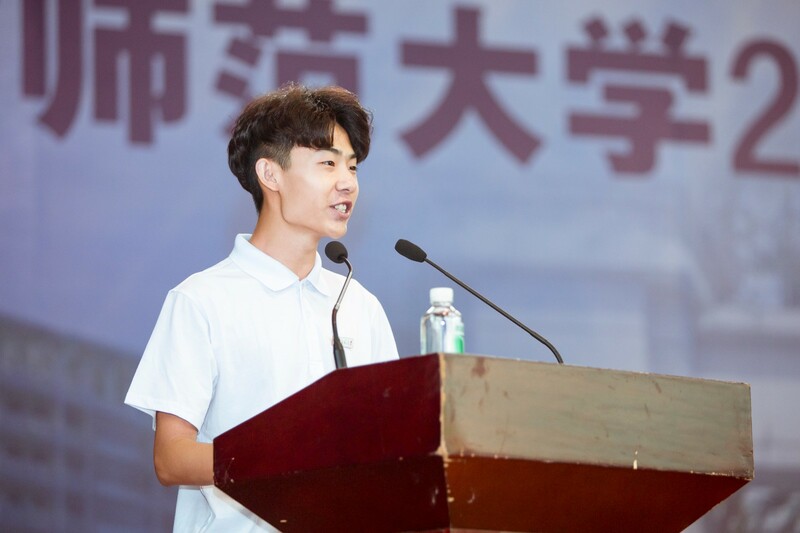 Last but not least, he hoped all the students would study hard to achieve a glorious future, light up their dreams and shoulder the responsibility of national rejuvenation in the new era. 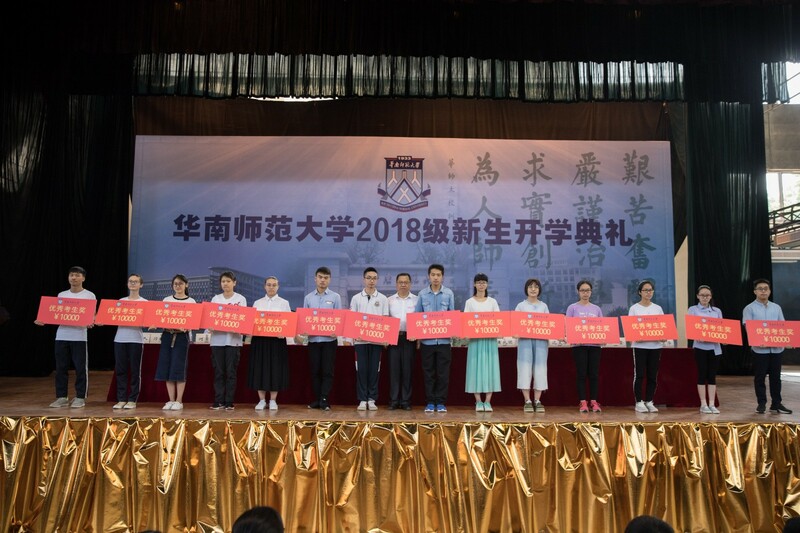 Representatives of teachers, sophomore, junior and senior students gave their sincere blessings to the students of the Class of 2018. 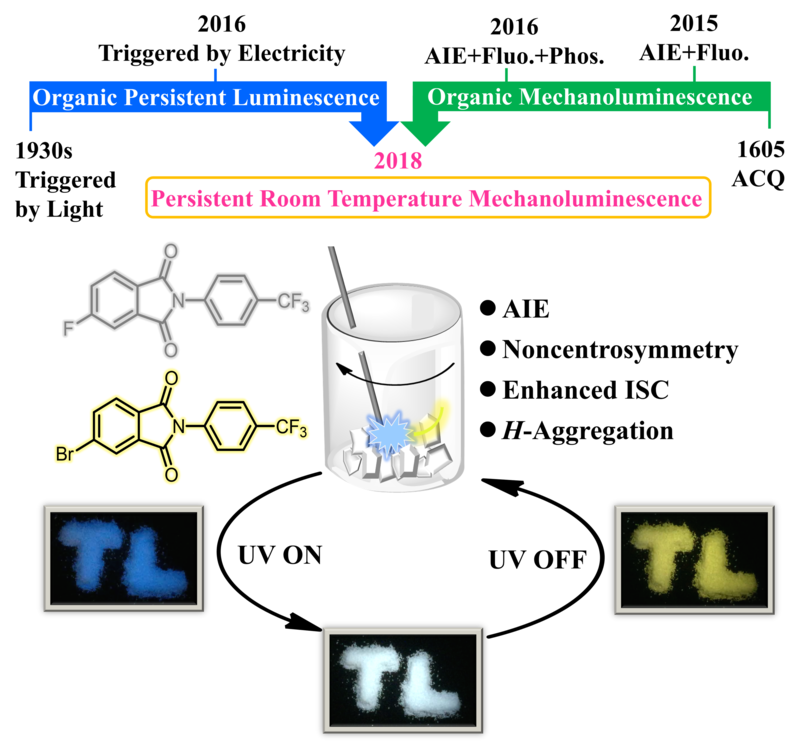 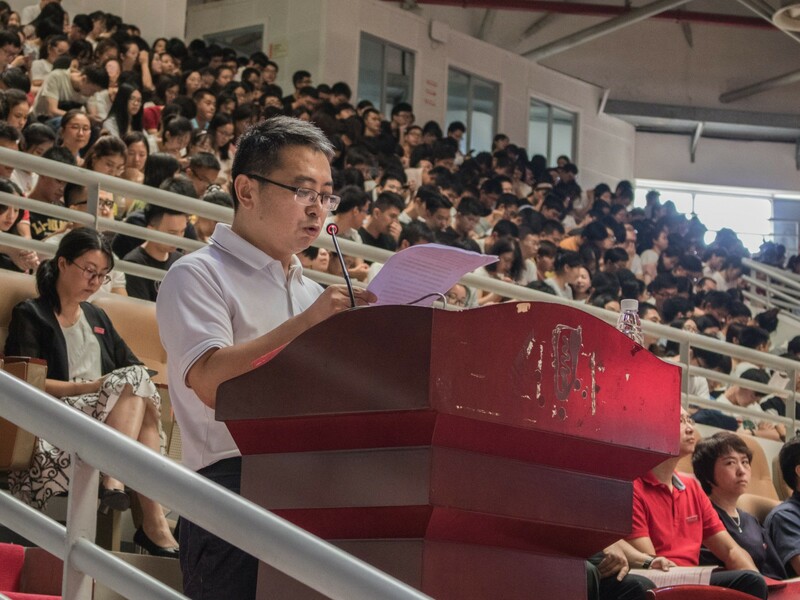 On behalf of all teachers, Changjiang scholar Yang Chengwei of the School of Life Sciences encouraged the new students to change and adapt themselves to the new environment as soon as possible. 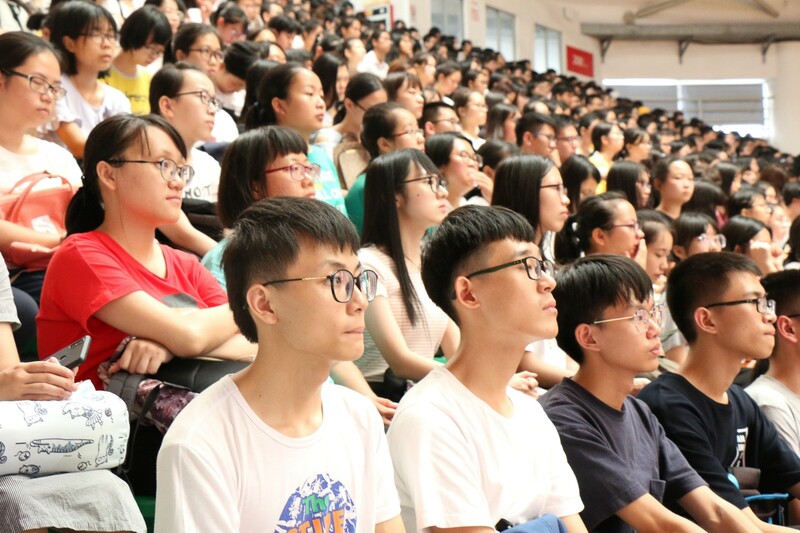 Besides, he hoped the students would develop into independent thinkers and innovators, seeking truth from facts and getting themselves prepared for university life in an era of rapid development of information technology. 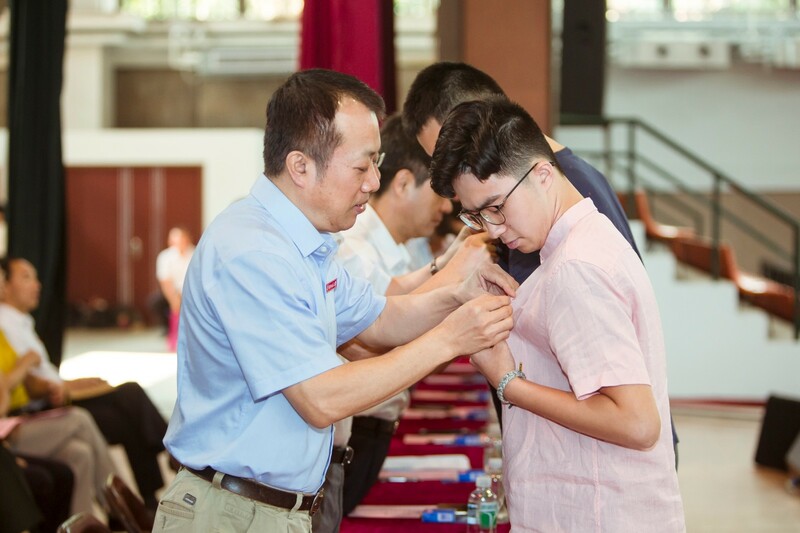 Moreover, students should learn to be tolerant and grateful. 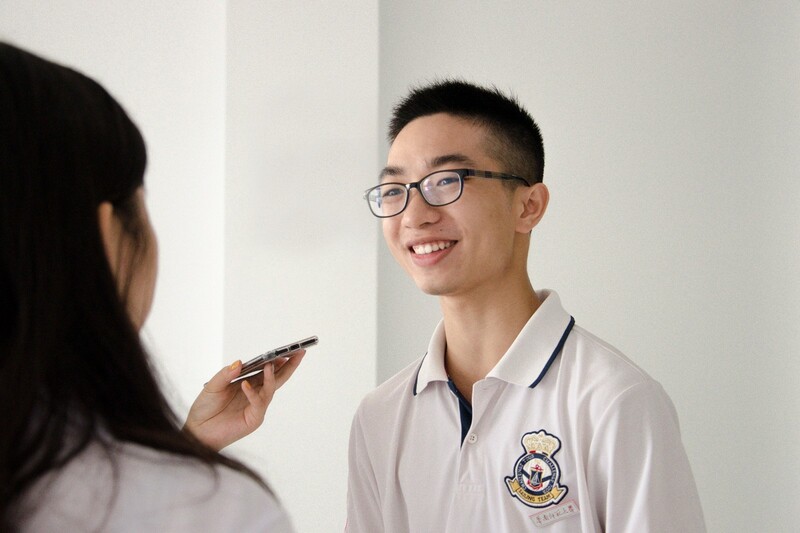 Lastly he expressed his wishes to be not only a qualified teacher in the academic field, but also a friend in the students' lives. 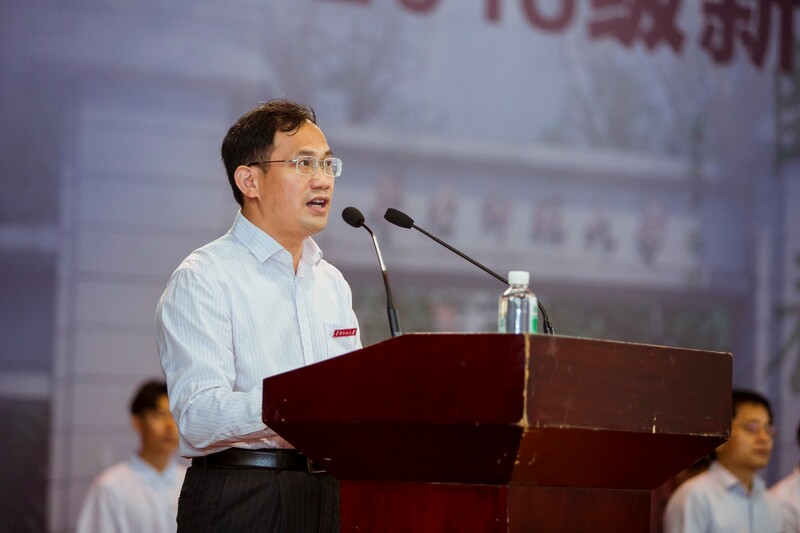 Professor Duan Jifang of the SCNU College of Liberal Arts addressed the students as a teacher representative from the University Town campus. 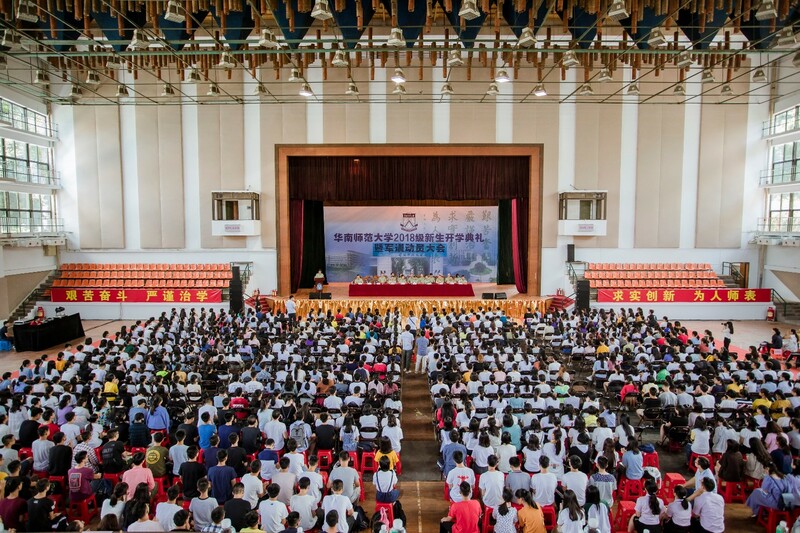 He quoted the words from the Book of Rites, telling the freshmen of the Class of 2018 that the university is a place to acquire knowledge and develop a noble morality. 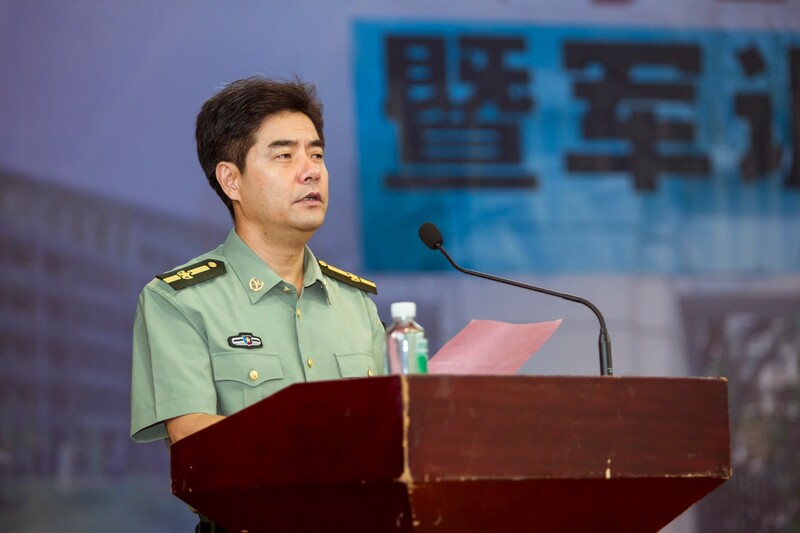 He also connected the development of the young generation with this new era, “surviving severe competition is always the main theme of the new era, which constantly requires us to keep up with the times”. 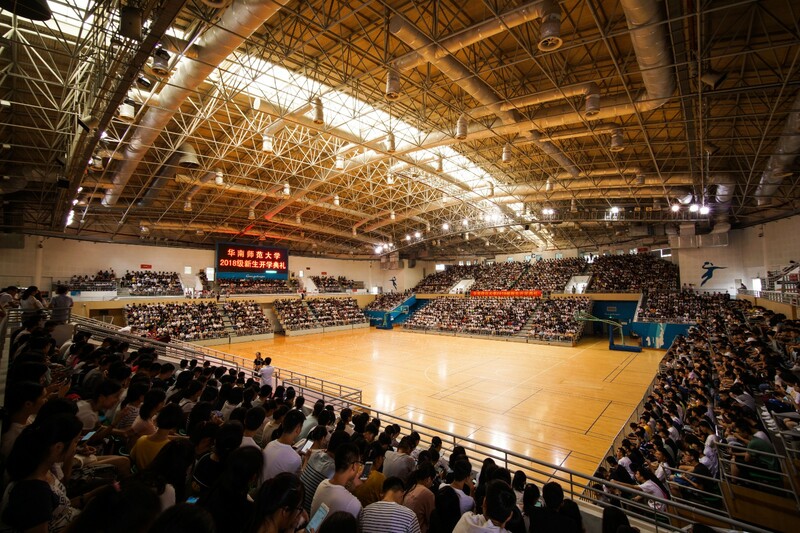 He encouraged students to work hard and aim high. 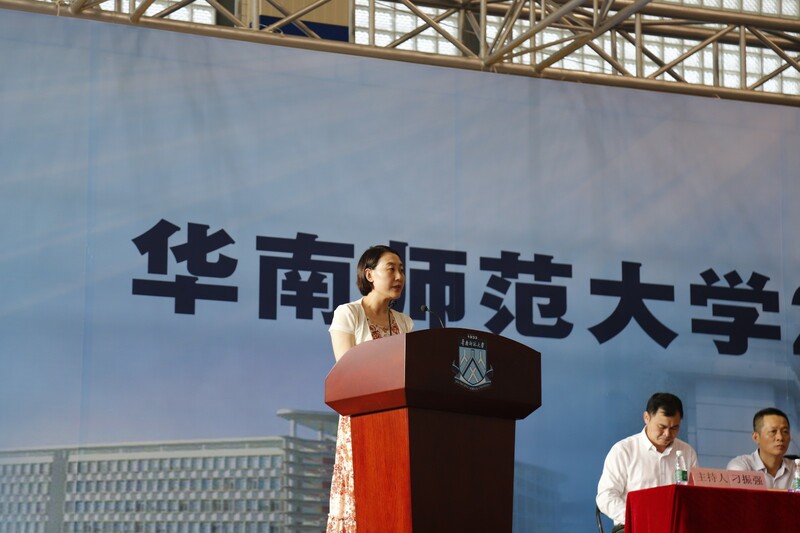 Teacher representative Zhuang Huijuan of the International Business College, Nanhai campus also shared her life credo with the new students at the ceremony. 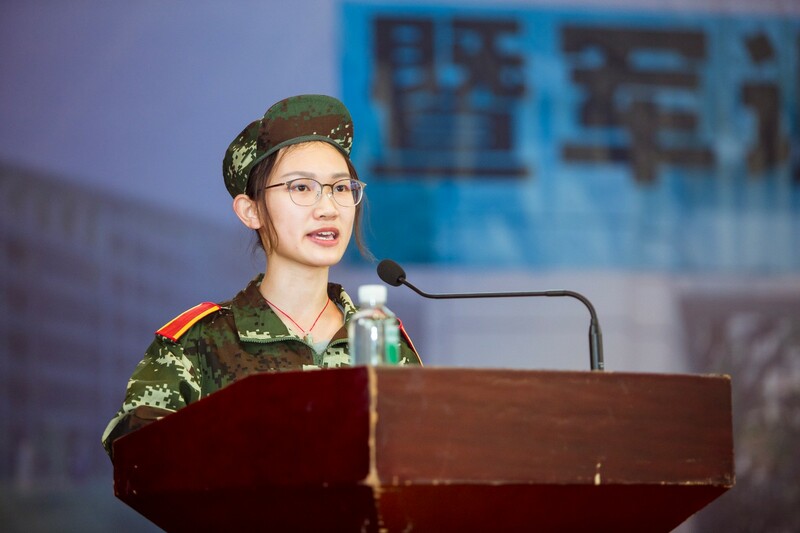 She encouraged the students to be hard-working fighters, proactive learners and responsible dream chasers. 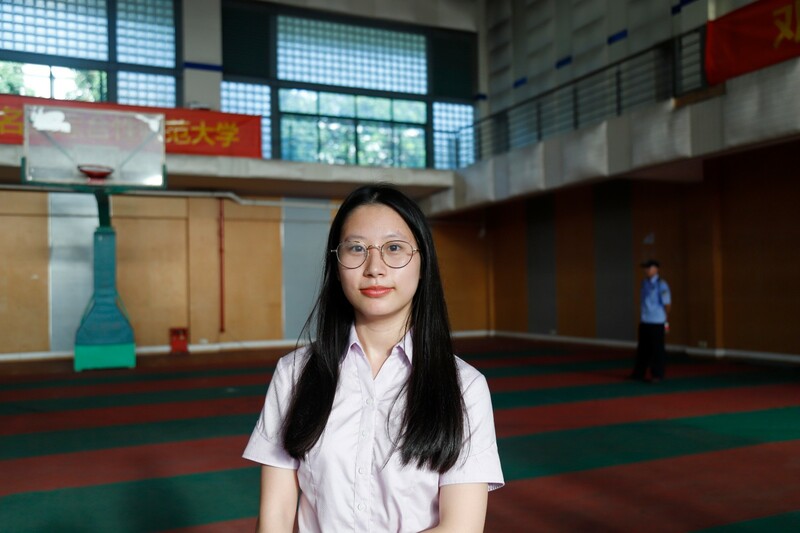 In the end, she wished all the students to have a wonderful and meaningful university life. 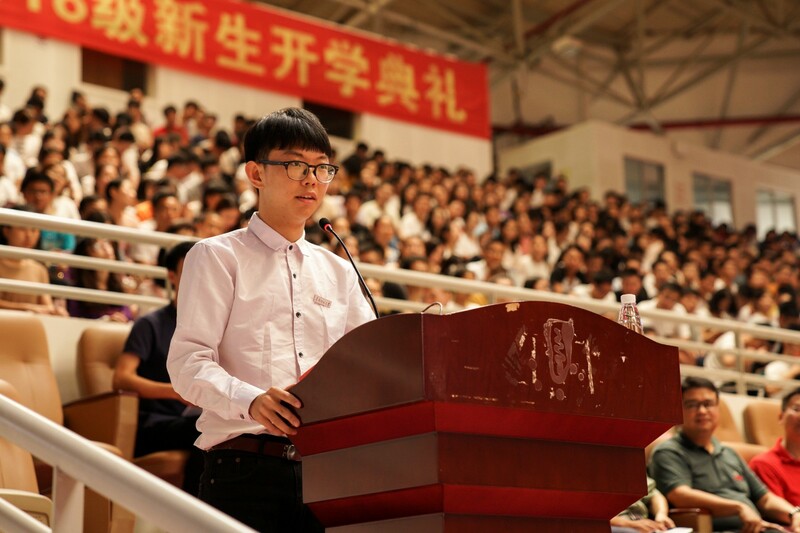 During the ceremony, three representatives of the new students were invited to share their ideas about university life and their ideas about the future. 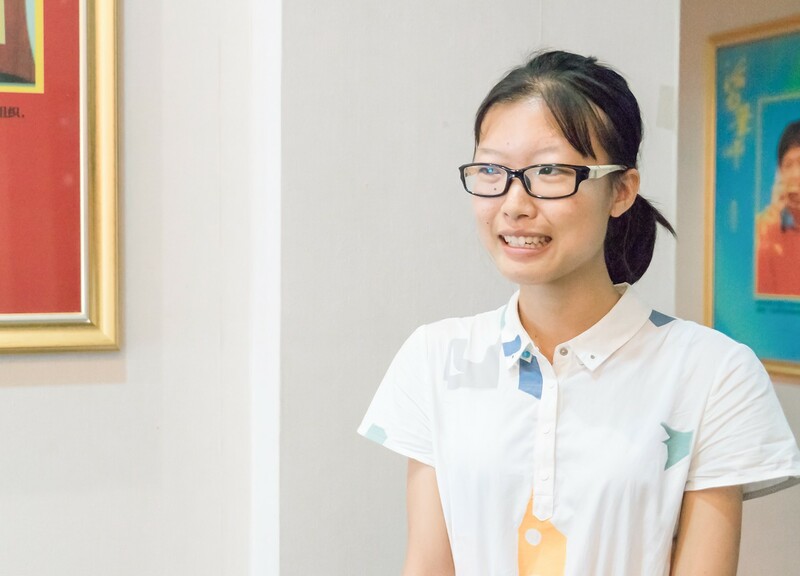 They made their resolutions to study hard, fully develop themselves and leave no regrets in university life. 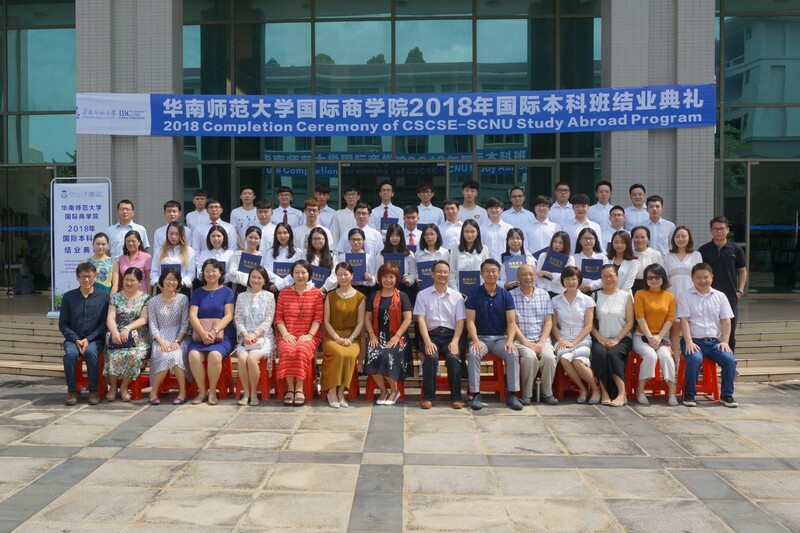 This year SCNU awarded scholarships to 54 distinguished freshmen for their excellent performance in their college entrance exams. 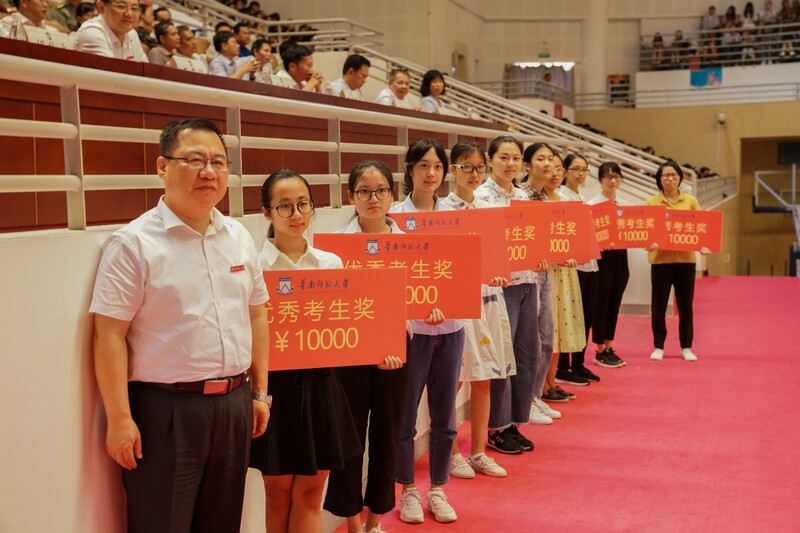 Among them, three new students got a 20,000-yuan scholarship, while the remaining 51 received 10,000-yuan scholarships. 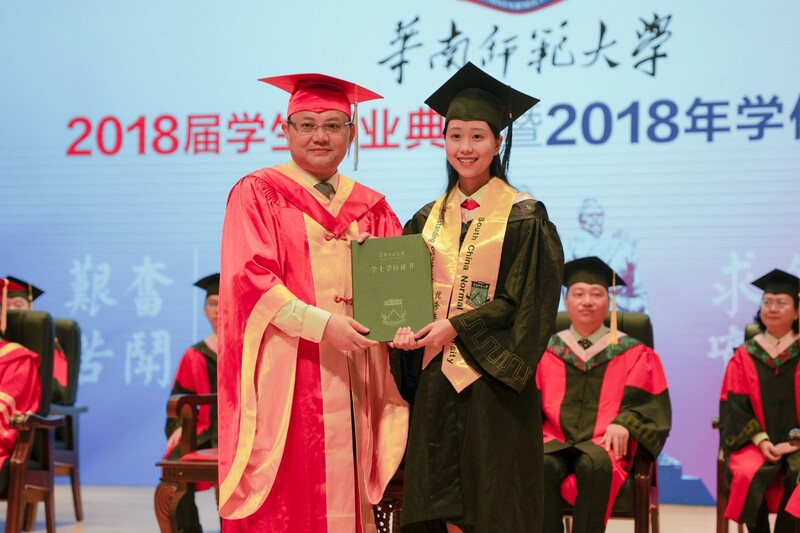 Vice president Xiao Hua read the award proclamation, and Zhu Kongjun, the party general secretary of the university presented the awards to the outstanding laureates. 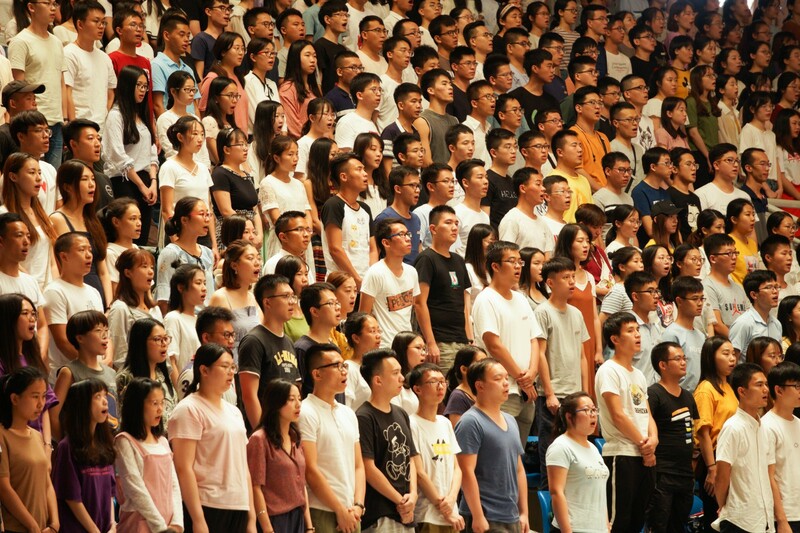 After the ceremony, the new students had their mobilization conference for military training. 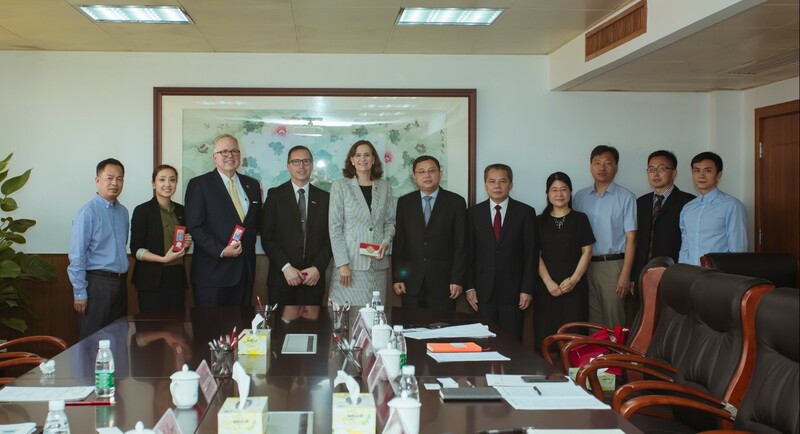 Freshmen representatives spoke at the meeting.